Central Oregon’s Mill Creek Ranch, boarded by the Ochoco National Forest, is a real beauty with 568± acres of meadows, pastures, timberland, and 150± acres of irrigated hay lands. 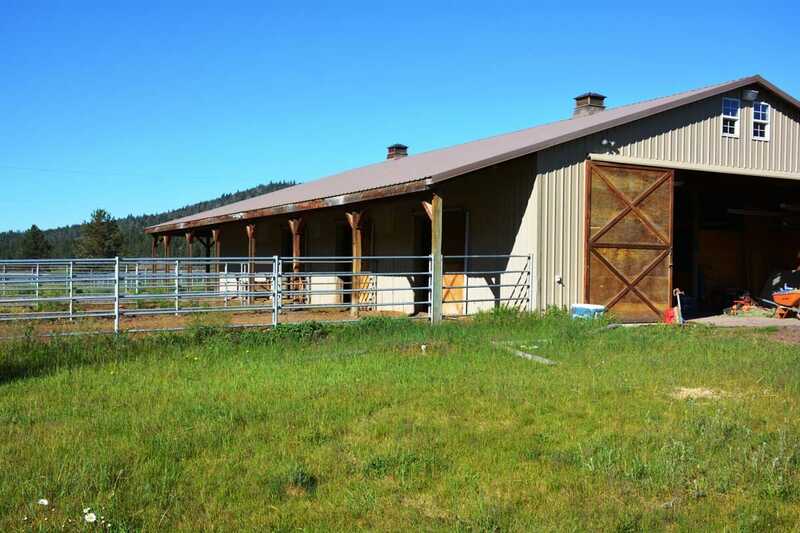 Mill Creek Ranch offers multiple fenced and cross fenced pastures and fields, corrals, 6 stall barn and hay sheds. The ranch is very private with many wonderful improvements including a remodeled/updated 3 bedroom, 2 bath ranch house, bunkhouse and bachelor barn apartment, convenient for working ranch hands. Mill Creek Ranch has Ochoco National Forest cattle allotment, 2 bull elk LOP tags and 2 mule deer LOP tags (buyer to confirm with Oregon Department of Fish and Wildlife). If your bucket list includes raising cattle, horses, and hay with a rural life style of privacy and outstanding fishing and hunting, you owe it to yourself to see the Mill Creek Ranch. Central Oregon is known for its amazing Cascade Mountain views, lakes, rivers, biking trails, hiking, trophy hunting, fishing, equestrian centers, rodeos, farming and ranching. Mill Creek Ranch offers all of this and more in a quiet, relaxed setting. There are all the conveniences of nearby towns with everything one needs in shopping, medical care, education, restaurants, and family activities. Prineville, only minutes west of Mill Creek Ranch, has come a long way from its roots as a quiet, western community and is now home to Facebook and Apple. These companies, with much consideration of climate, housing, education, medical/health care, safety, value, and general quality of life, have chosen Prineville/Crook County as the site for their all-important data centers. Knowing the criteria these companies use makes their endorsements truly an honor to Crook County. Enjoy the high desert summer concerts, farmers markets, art and wine festivals, 4-H, and rodeos for all ages at the Crook County fairgrounds or the Deschutes County Fairgrounds and Expo Center, all just minutes from Prineville. Mill Creek Ranch is the perfect setup for the recreational enthusiast and horse or cattle rancher or to just enjoy as a retreat. Be the first to see this amazing property.